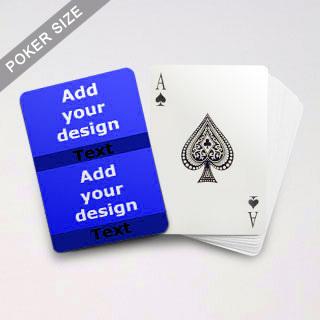 Download custom box file within our online cards maker. Add your design to the file on Ai or other image editing software. 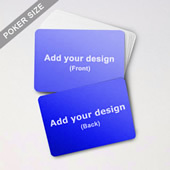 Save it and upload your finished file within our online cards maker. Dimensions: 63mm x 88mm, 2.48" x 3.46"
Window tuck box - Note: The front of the first card will be the side that is displayed through the window of the tuck box. Please contact us if you need other arrangements. 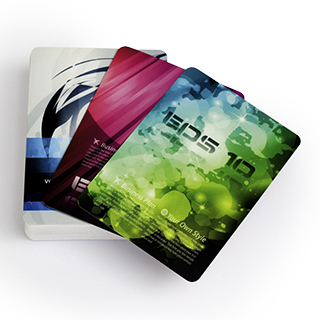 Delivery packaging: card deck individually shrink-wrapped if no box is chosen. 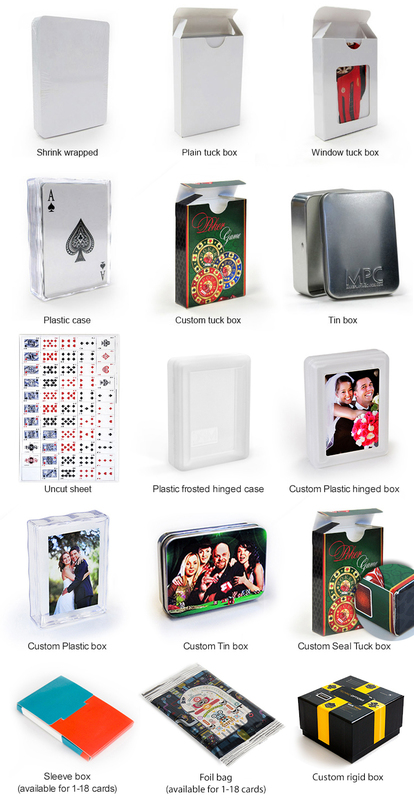 Card band used for cards if plastic or tin box chosen. 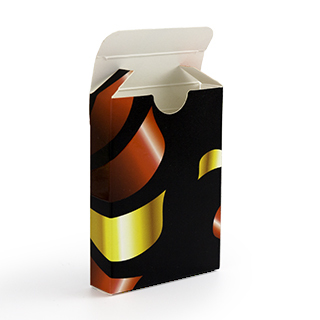 If tuck boxes are chosen, they will be shrink-wrapped. Uncut sheets are rolled up and put into a hardened tube. Bleeding: Please allow 1/8" (approx 36 pixels based on a 300dpi image) for bleeding and a further 1/8" for safe area margin inside each side. Read more about image uploads here. 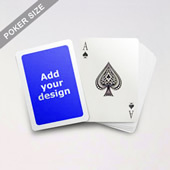 Download templates: Download a playing card template to help guide your image design before uploading files. 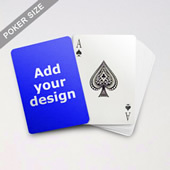 Comes in the standard poker size, this template is particularly welcomed by marketers who have a combo to sell. 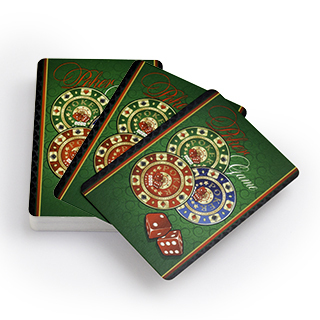 The cards are made of quality materials so that they are non-transparent and completely bendable from both ends. 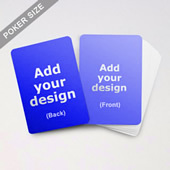 Depend on the quantity, card type and finishing you opt for, unit cost per deck can be as low as US$3.25 or even less. If you have any customization needs which you can't find on our site such as custom component shapes and sizes, unique components, materials, spot UV, hot foil stamping, plastic molding etc, please contact our experienced sales and technical team. If you would like us to help you on setting up your game component completely, we have just the service for you. See details. We are an internationally renowned tabletop games manufacturing company with huge facilities to cater for your board game or card game needs. Our 35 years plus of game making experience ensures our quality and services is second to none. That's why the biggest names in retail games choose to manufacture with us. "Delivered again to the highest of standards. High Quality and great service. I had to open a help ticket because I made a mistake on the order, they responded super quick and corrected the issue. Possibilities are only limited to the imagination... just recommend several proof readers prior to placing order:) "
We do small print runs from 1 piece upwards right through to full large-scale offset production. Just let us know your requirements, whatever quantity needed. Speak to our team today! Over 35 Years in Games Manufacturing. No minimum order!